* Site surveys are to be conducted to assess the status of various equipments to list out the requirements for replacements/modifications/improvements to the system wherever necessary. * Survey is required where new track side equipment is proposed. The following are important factors to be considered while assessing the signaling system. * Condition of wiring and cabling, including signs of deteriorating insulation. * Condition of existing equipment rooms and apparatus case, and space for additional equipment. * Condition of cable routes. Space available for new wires and cables available for to be added without overcrowding and for redundant wires and cables to be removed without damaging those remaining. * The effect of increased heat load on existing equipment as a result of installing additional equipment. * Sighting of signals, line side signs and indicators. * New REB/Location positioning survey. 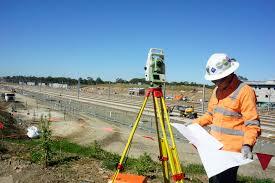 * Project specific surveys (TPWS).